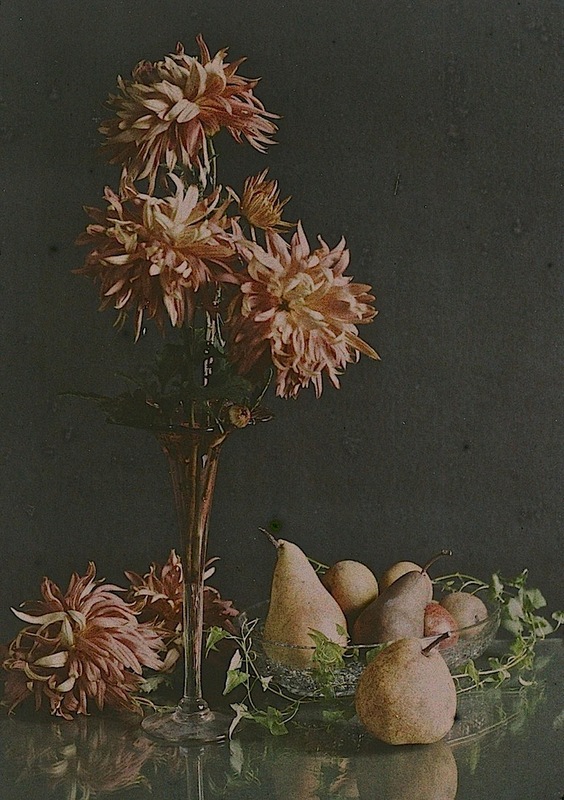 “Autumn,” 1915, an autochrome by Robert Walrond, via Museum of New Zealand (Te Papa Tongarewa). What a perfect image. I have been letting a few of my Dahlia flowers dry up and they are this color for a bit. I’m enjoying tham that way as much as when they are newly blooming. I feel that way with cut tulips, which often become almost orchid-like right before everything drops.